Taking 2 teaspoons of Manuka Honey 5+ is not the same as taking 1 teaspoon of 10+. The activity levels are not additive. There are no Manuka Bees. Most of the honey bees in the world are actually Italian! Manuka Honey is made from normal honey bees who use nectar from the Manuka Flower to make their honey. Not all Manuka Honey has Non Peroxide Activity (You need to be sure the NPA is mentioned). Not all Manuka Honey has clinically proven anti-bacterial and anti-inflammatory properties. 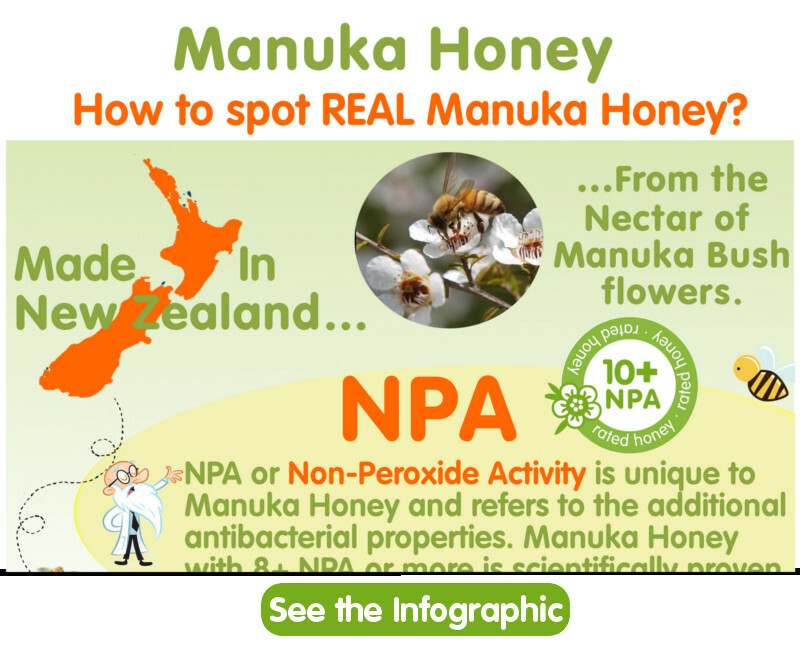 Some Manuka Honeys on the market have extremely high activity scores because the Peroxide Activity and the Non Peroxide Activity ratings have been incorrectly (or conveniently?) combined. Just like expensive wine may be perceived as better than another bottle with a lower price, most people assume that the higher the activity score on the label, the more they should expect to pay for their Manuka Honey and the better it will be for their health - which isn’t always true!